Paris Saint-Germain have unveiled the clubs new away shirt and it is, as we have become accustomed to with PSG, incredibly classy and elegant. 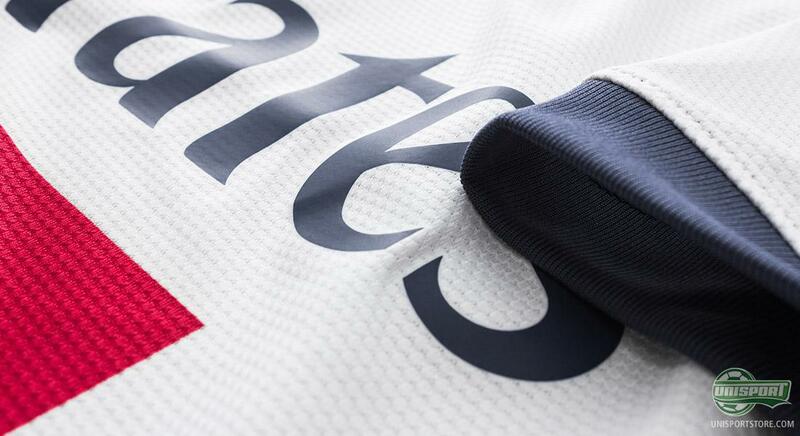 It hails the clubs heritage by keeping the clubs iconic colours. 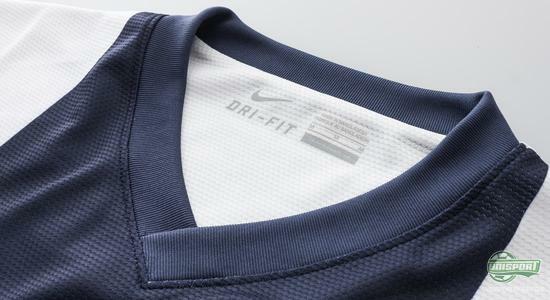 You can see much more of the new shirt right here. The summer is well and truly upon us and that means new shirts are popping up left, right and centre. 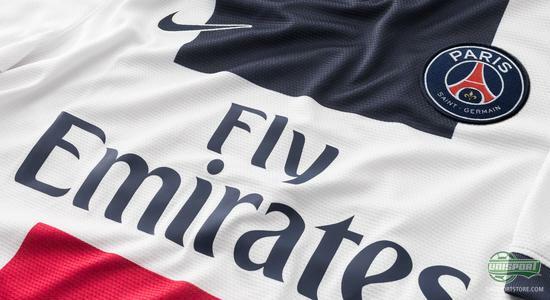 Nike have been very busy all summer making shirts for the countless big clubs they sponsor around the world, now it is Paris Saint Germains turn. 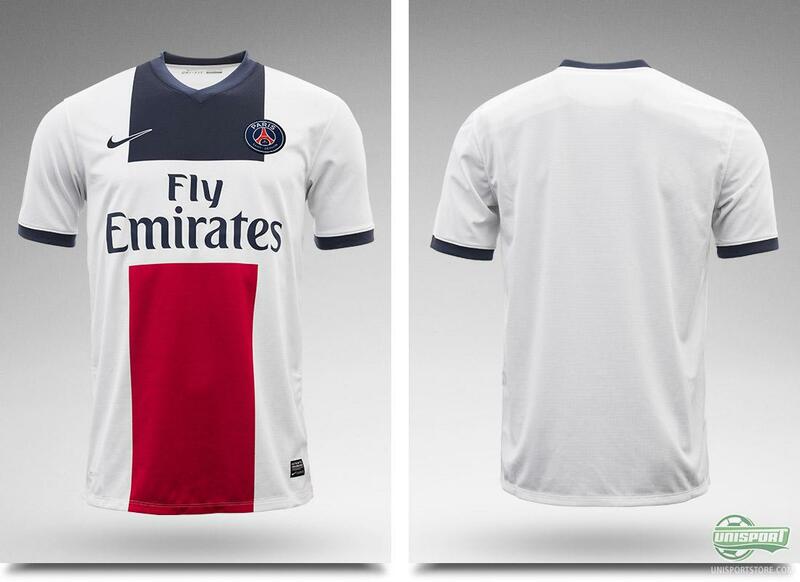 Nike hope to help the Paris-based club clinch the title again next year, with this cool and elegant new away shirt. And there is no doubt that it is the championship and nothing less than that, which Paris Saint Germain will be aiming for in the coming season and anything else would seem strange, given the star-studded side they boast. These stars will now be aiming for even more success, in their brand new shirts. 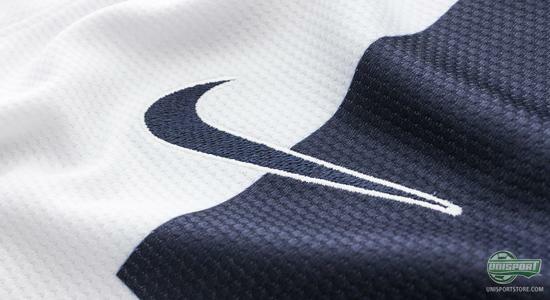 If you want your hands on the new away shirt, then you can already order the shirt now  prices start at just 58. The new away shirt is incredibly elegant and in a colour combination that will bring joy to any fan of the club, so rich on tradition. 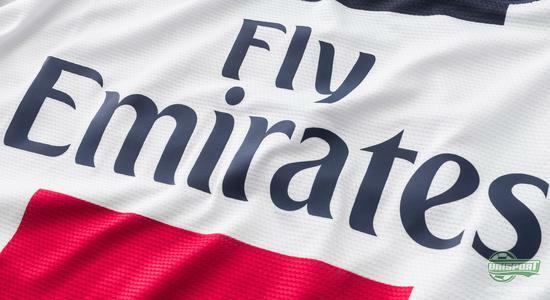 The shirt is comprised from the same colours, as the clubs famous logo, with the white shirt having a dark blue and red stripe running down it, only divided by the clubs sponsor Fly Emirates. The shirt appears very classic with the traditional PSG-colours, but it still has a dynamic and modern feel to it, with features like the V-neck giving it a stylish look. 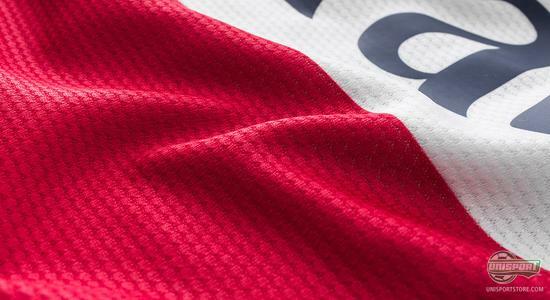 If you look at the shirt, then you will quite quickly notice the striking resemblance design-wise with the already popular home-shirt, with the away shirt just switching the white and blue colour around. They are a perfect match next to each other and really look like an elegant paring for the PSG fan, who just can't make due with the one of them. 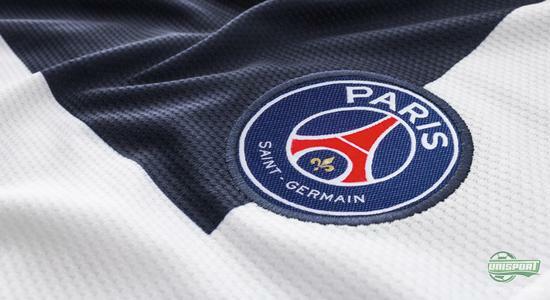 On the shirt you also find the clubs new logo, where the clubs name arches over the famous Eiffel Tower, which has always been a central part of the Parisian clubs logo. The new logo is very cool together with the new elegant away shirt. As we know from all other Nike shirts, it has been made with the nice Nike DriFit Material, which diverts sweat away from the body and makes sure that your body temperature is kept stable, so you can keep your cool, even in the most heated of situations. Nike are also well aware of the effect their production has on the environment and therefore this shirt is also made of recycled polyester, where every shirt on average is made from 13 recycled plastic bottles. This helps minimise the stress that production has on our planet, so you don't have to have a bad conscience when pulling this shirt over your head. Paris Saint Germain's new away shirt is very elegant, stylish and is a perfect paring with the home shirt and it will be exciting to see, how far PSG can get in the coming season. What do you think about the shirt? And do you think Zlatan and the rest of the team can challenge in the Champions League? As always we would love to hear from you here, or on Facebook and on Twitter.